Today morning I continued watching the drama. In the afternoon, I sat down cutting square patches from my fabric scraps . I found some cotton fabrics scraps from sewing this little dress. I looked at the beautiful purple flowers and an idea crossed my mind. I wanted to use them for sewing a little purse. So that is how it came about. 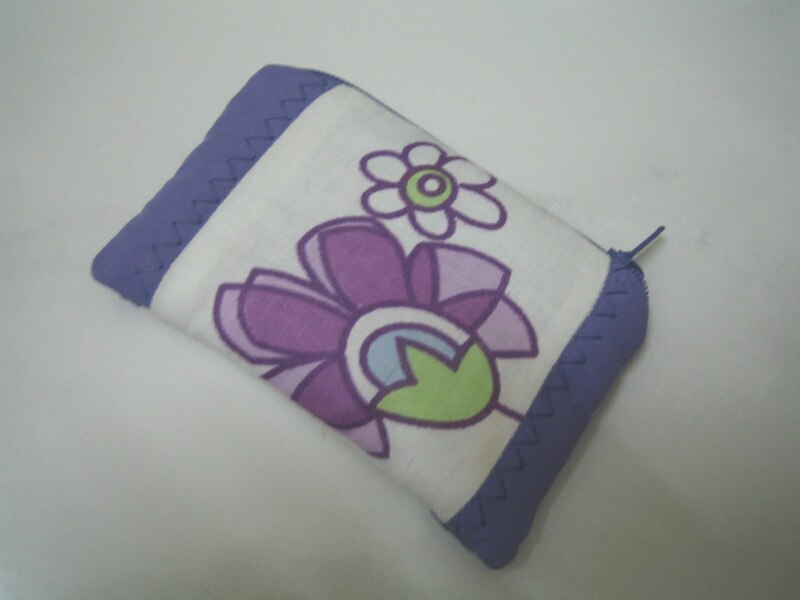 This little zipper purse measuring approximately 2 3/4" x 4 " . 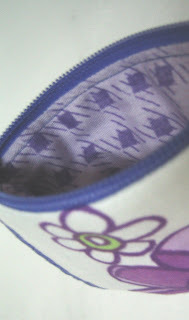 The inner lining purple fabric is 100 % cotton too. 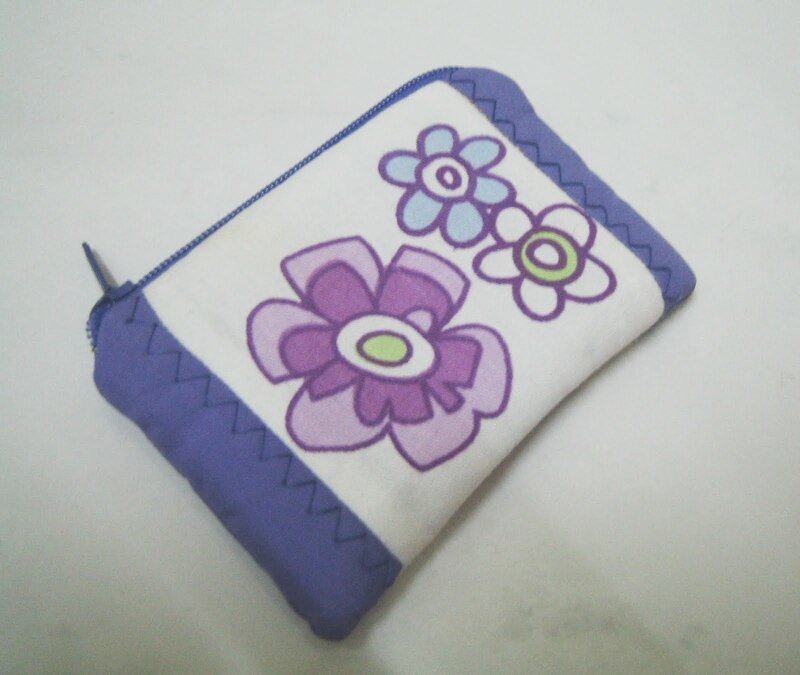 I will give this little purse to a lovely hardworking Malay girl tomorrow . She scored A+ for her Mathematics in the school mid- year examination and I promised to give her a special gift. Her favourite colour is purple and I hope she will love this little purse. It will be great for her to carry some coins or small notes. It is also small enough for her to put inside her pocket. Thanks for reading. I hope you have a great weekend ! Hi, PY :) I love the purple flowers and the zigzag stitch you used. I'm sure you will make the lucky (& genious) girl so happy! Strawberry, polka dot and lovely girls.